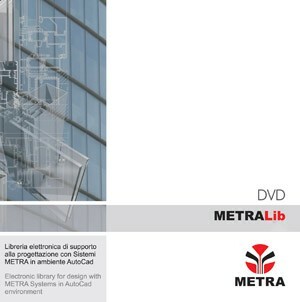 Electronic design support library using METRA Systems in AutoCad mode. 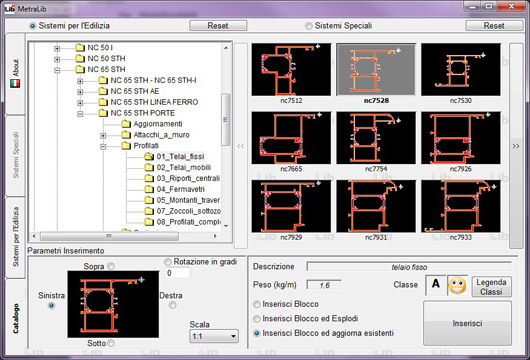 The software allows multiple searches to be carried out and permits the user to insert every detail directly into the CAD interface for all AutoCad programmes on the market today. The library interface and database can be configured in English, German and Spanish. as well as special technical solutions which allow our Systems to be integrated into any architectural context.